I have new colourful additions to my nail polish collection, with sassy names like Hello Sailor, You Stole My Tart, Sugar Coated and Aquatic Ice. This is all thanks to ICE BOX colors. Like a child with a new toy, I cannot keep my hands off them and my nails are colour popping happy. 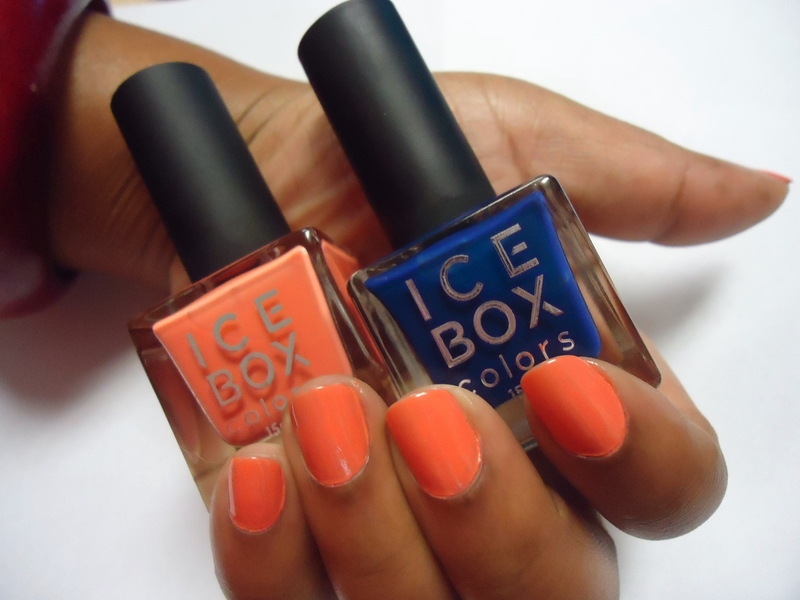 First and foremost, what you need to know about this brand is that ICE BOX colors was created by Dr Robert Gobac, a medical doctor with a passion for cosmetic chemistry and his wife Melba, who conceptualised the identity of the brand and called it ICE BOX colors. Dr Gobac already has an established and very successful Cosmeceutical skincare range on the market and decided it was opportune to add some colour by developing a spectacular range of Nail Lustres. Except for the Aquatic Ice, which is textured with fine gold glitter, the navy blue Hello Sailor, coral You Stole My Tart and pink Sugar Coated are a sassiness of colour with a high gloss shine. And, because being spoiled for choice is always nice, ICE BOX colors has over eight impressive nail colour ranges already available from ICE BOX colors stockists nationwide. You have a glossy and chip-free manicure to enjoy for five days. 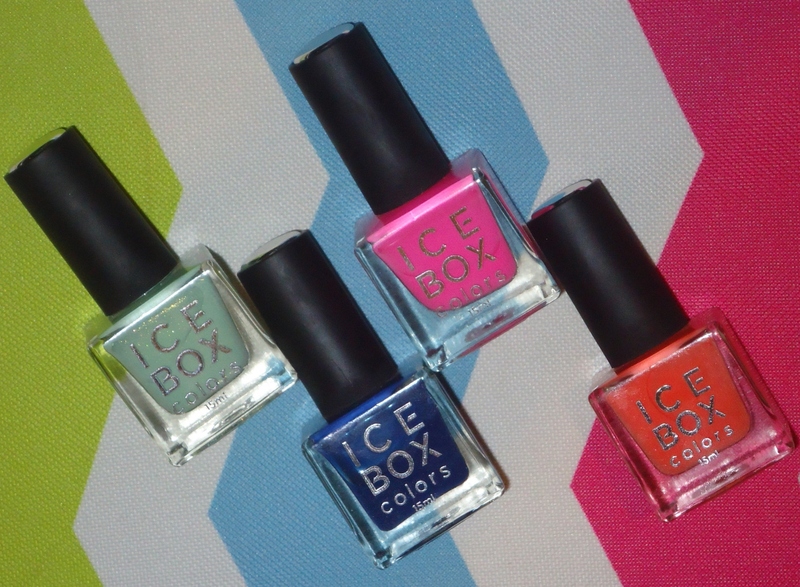 ICE Box colors is without a doubt a worthy addition to my collection and a definite keeper for any nail polish lover. 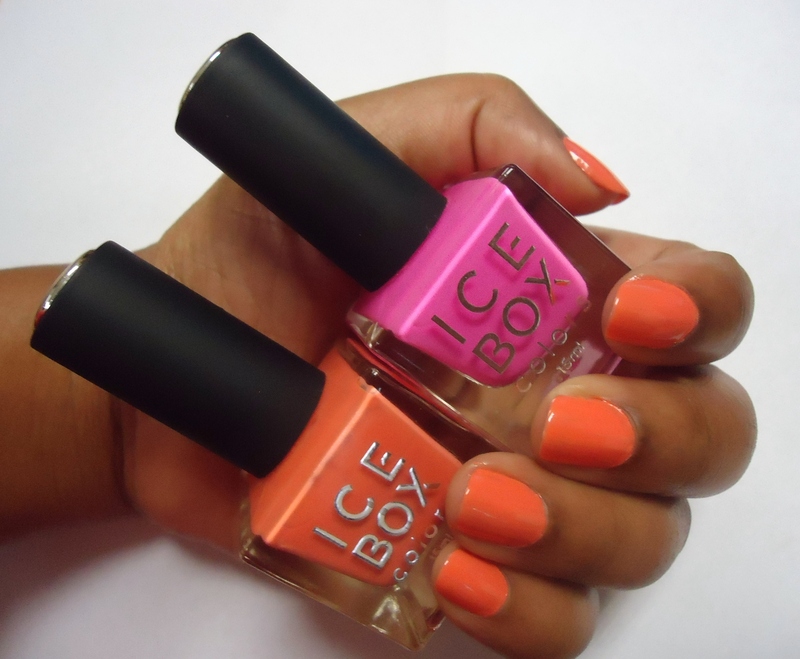 To get you nails hooked up, my fellow Pretorians may visit Lift and Tuck and the rest of South Africa may consult info@iceboxcolors.co.za for their colour fix.